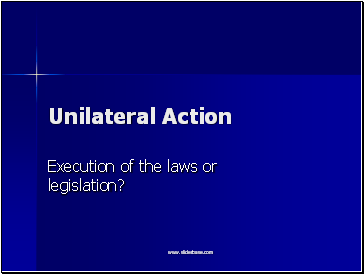 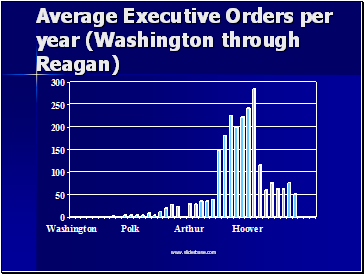 Execution of the laws or legislation? 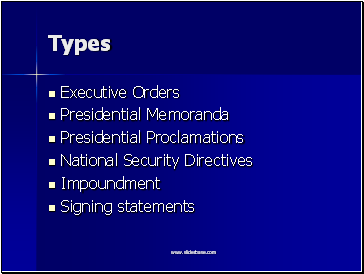 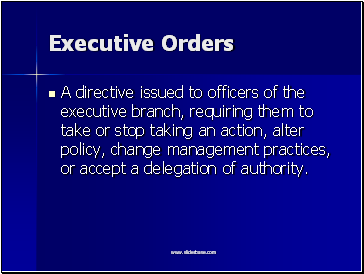 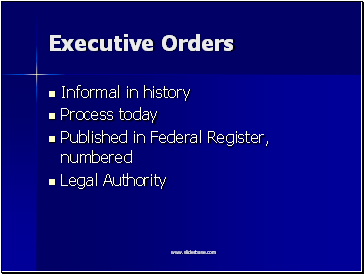 A directive issued to officers of the executive branch, requiring them to take or stop taking an action, alter policy, change management practices, or accept a delegation of authority. 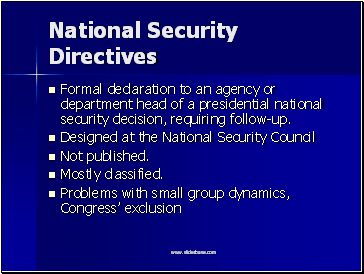 Formal declaration to an agency or department head of a presidential national security decision, requiring follow-up. 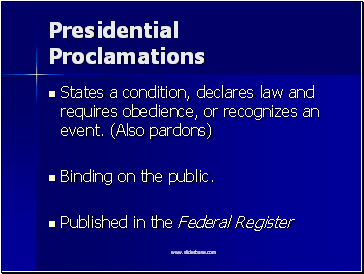 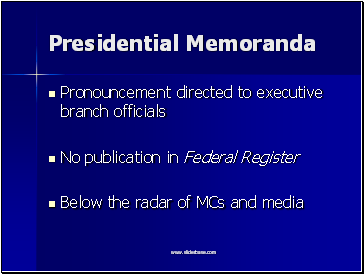 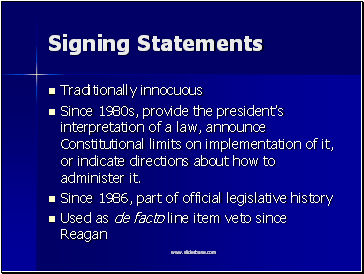 Since 1980s, provide the president’s interpretation of a law, announce Constitutional limits on implementation of it, or indicate directions about how to administer it.